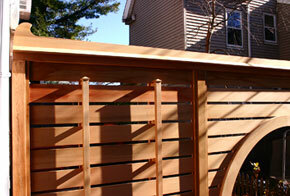 A desire for privacy was the catalyst for this unique wall. 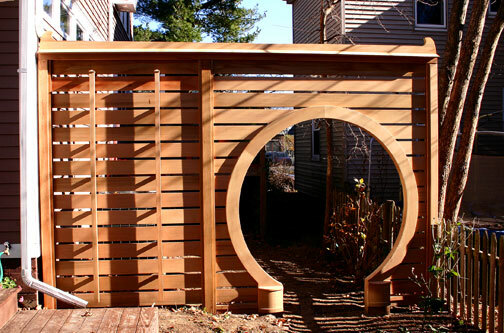 At the request of our client, we incorporated our Chinese moon gate into the structure. 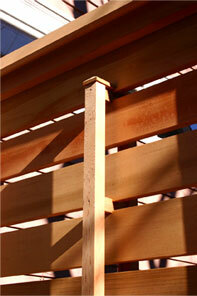 Four small vertical trellises were attached to facilitate vine growth and visual balance. The detail at the top was taken from the Tang Dynasty.